Oh, what some guys will do for love. With the rise in social media, popping the question these days has become a far less private affair. Some people go to great lengths to turn it into a theatrical performance, or a spectacle: the elaborately orchestrated flash mobs, impossibly exotic locales (think Seal proposing to Heidi in an igloo on a mountain peak, or William and Kate while on safari in Kenya), or in the middle of extreme activities (on a roller coaster, sky diving, swimming with sharks). So romantic! So wild at heart! And then there are our least favorites: the cringe-worthy stunts, like the guy at a rooftop balcony party with all their friends gathered around as he makes a heartfelt toast to his loved one, then has his buddy toss him the ring, which he tries to catch but misses, loses his balance, and tumbles over the railing, to the frantic shrieks of his girlfriend, who rushes to the edge thinking he has fallen to his death, only to see him lying on a giant blow-up cushion below, grinning and holding up a sign that says, “will you marry me?” And believe it or not: She. Said. Yes. 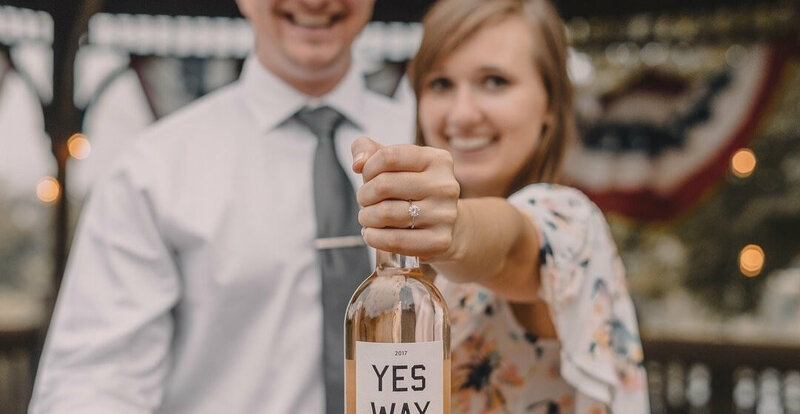 But when it comes to the best proposals, the way and the place are more often an emotion, a memory, or a state of mind, rather than a splashy extravaganza or a specific destination (aside from getting to “yes,” that is). In fact, a recent survey of men who proposed in the last year found that nearly half popped the question at home. Our favorite proposals are thoughtful, intimate, and meaningful, and that celebrate a couple’s shared memories, interests, and traditions. That doesn’t mean flash mobs, exotic locales, and extreme sports are off the list, if that’s what your maybe-future spouse is into. But some of the best ways to propose require little more than imagination and heart. OK, and maybe a travel budget.